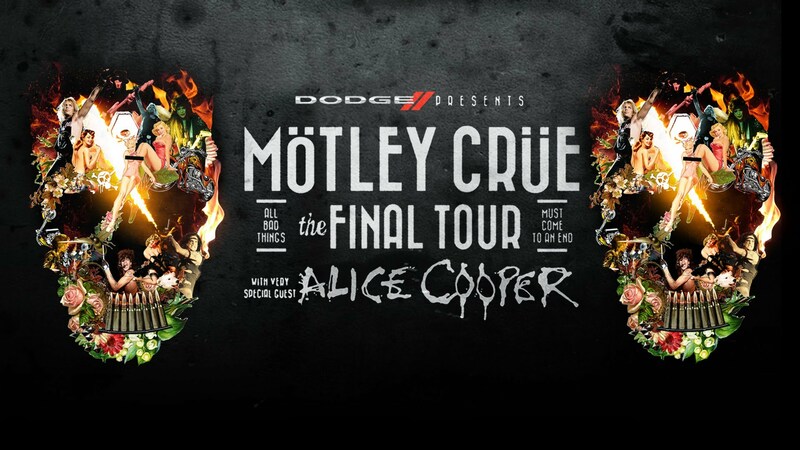 Mötley Crüe have added 21 new shows to their already-massive Final Tour. The new North American dates run from October 5 – December 27. On December 31, Mötley Crüe will return home to Los Angeles for the last show of The Final Tour. The band’s career began in Los Angeles 34 years ago. Last year, the first leg of The Final Tour saw the band perform in 72 cities and earn over $45 million. This year, the band are set to tour the world with stops in Japan, Australia, and New Zealand. This summer, the band will co-headline some of the world’s biggest festivals including Download Festival (UK), Nova Rock (Austria), and Sweden Rock Festival (Sweden). Tagged 80s, Alice Cooper, classic rock, dodge charger, dodge trucks, hair metal, hard rock, heavy metal, los angeles, metal, mick mars, motley crue 2015, motley crue final tour, motley crue new tour dates, motley crue tour dates, music news, nikki sixx, rock music, rock revival, the final tour, tommy lee, tour announcement, vince neil.